Organizational leadership is a robust field that often opens many doors for those who study it. In fact, those with an organizational leadership degree often compete for executive, managerial and other top-level jobs. Whether you want to work in business, academia, government or the nonprofit sector, earning a degree in organizational leadership may be a smart use of your time, money and effort. While many traditional colleges and universities offer organizational leadership courses in conventional, brick-and-mortar classrooms, a growing number use virtual learning platforms to instruct students. Still, not every online organizational leadership course is a good option. How do you know which programs are good and which are a waste of resources? While the field is broadly defined, generally those with an organizational leadership degree work to fulfill the mission of the organization. 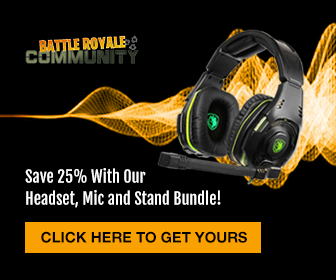 Simply put, they have the skills necessary to bring people together. Read on to see which programs make our list. While we reviewed published materials from each course, we didn’t stop there. We checked in with current and former students to see which programs offer excellent learning opportunities. We also considered information from accrediting associations. The result is a list you can trust. Finally, we assigned a five-point rating to each course. Use our scores to see how each program compares to the one before and after it in our rankings. If you want to pursue a degree in organizational leadership, you can’t beat the offerings at St. Louis University. 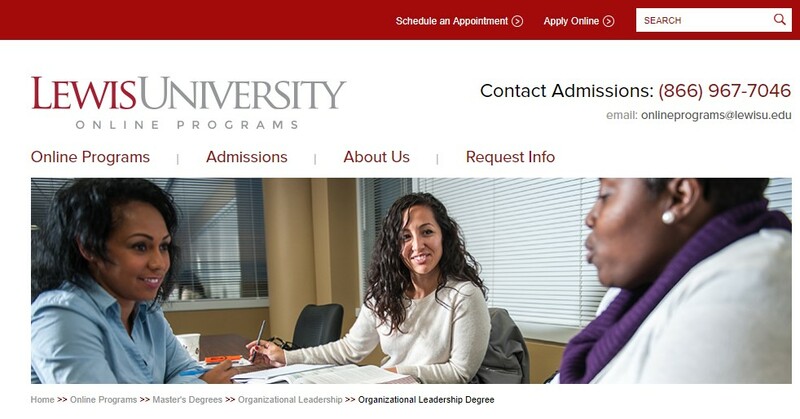 The university’s School for Professional Studies also has non-degree programs to help working professionals learn about organizational development. If you enroll in this course, plan to learn about leadership theory, organizational research, business practices and other relevant subjects. St. Louis University is famous for its virtual learning platform. Students also benefit from a prolific career services department and online learning support team. For working professionals, St. Louis University is a perfect fit. In fact, for admission to the graduate program, students must demonstrate they have considerable employment experience. This course is accredited by the Higher Learning Commission. Pennsylvania State University has been a leader in online education for two decades. The school uses an innovative online learning platform to help students acquire important organizational leadership skills. Whether you want to take a couple of classes or earn a graduate degree in the field, Penn State is an excellent choice. The Penn State online organizational leadership program is accredited by the Middle States Commission on Higher Education. In this program, you focus your studies on group facilitation and leadership. You also learn how to gauge organizational development success. Plan to participate in a capstone course or write a major paper before completing your online course at Penn State. Located in Omaha, Nebraska, Creighton University offers virtual learning as a comprehensive organizational development course. Enroll in this program to develop both foundational administrative leadership and in-depth knowledge about a variety of related subjects. This course is accredited by the Higher Learning Commission. Creighton University has worked hard to develop its online learning platform. Students acquire information through virtual lecturers, hands-on projects and detailed research studies. Like many others on our list, the Creighton program requires students to successfully complete a capstone course. Like Creighton, Gonzaga is a Jesuit school. This course, however, receives accreditation from the Northwest Commission on Colleges and Universities. Take this course to learn about leadership principles, organization development, business and communication. While most of the curriculum at Gonzaga is online, students must plan for some interpersonal interactions. They also should expect to participate in a residency program. If you want a comprehensive education that emphasizes leadership growth and learning flexibility, this program is worth a look. 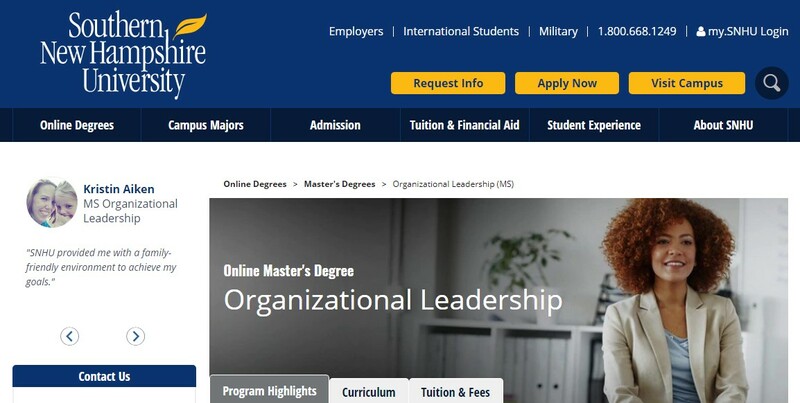 Quinnipiac University’s business school has a comprehensive organizational leadership program that students can easily take online. The institution is also world-famous for its career services. If you graduate with an organizational leadership degree from Quinnipiac, you’ll likely benefit from an international network of distinguished alumni. The university is accredited by both the New England Association of Schools and Colleges and the Association to Advance Collegiate Schools of Business. We like this program for its emphasis on non-profit and governmental leadership, although the business-oriented topics are robust. While St. Joseph’s University has a storied history in Philadelphia, you don’t have to live in the City of Brotherly Love to work on obtaining your organizational leadership degree. On the contrary, the school’s faculty teach to online students around the world. With this program, you’ll learn every facet of organizational leadership, including teambuilding and strategic planning. St. Joseph’s accreditation comes from the New England Association of Schools and Colleges. Located in Colorado’s capital city, the University of Denver offers students an exceptional learning opportunity. DU is accredited by the Higher Learning Commission. 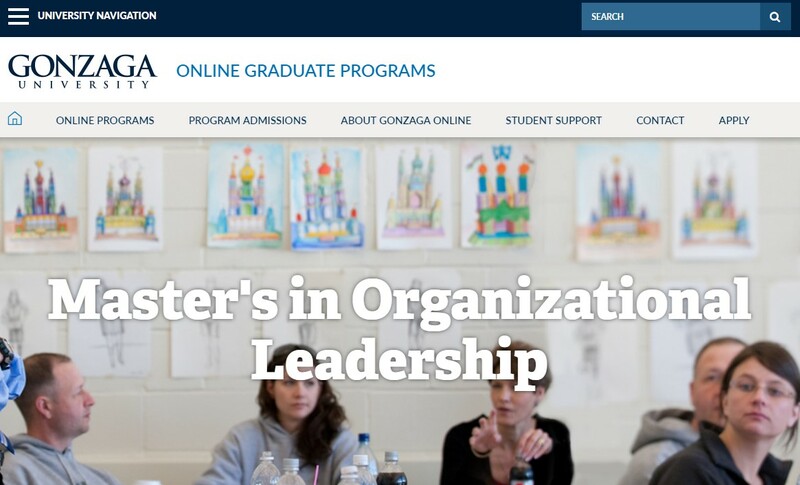 Those who study organizational leadership through the university’s online platform acquire leadership skills that help them in a variety of pursuits. Students also learn how to build modern organizations through lectures, hands-on projects and a capstone course. 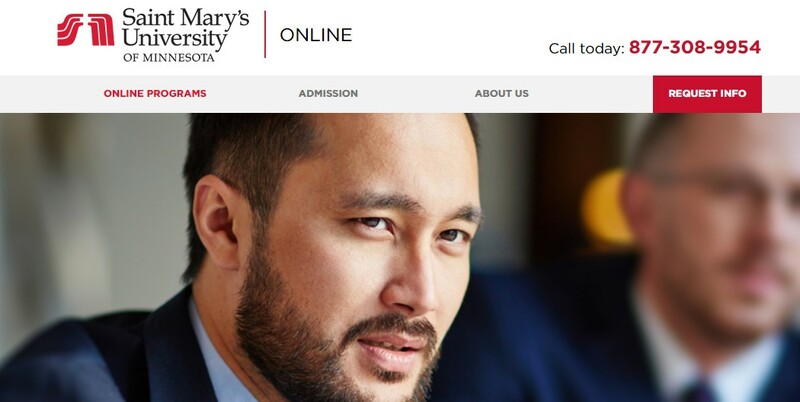 Accredited by the Higher Learning Commission, St. Mary’s University has an extensive organizational leadership program. Those who prefer to learn through the university’s online learning platform benefit from competent professors and responsive support personnel. They can also take full advantage of the career center at St. Mary’s. There is a good chance you have never heard of Lewis University. If you want to earn an organizational leadership degree online though, you should know a couple of things about the Illinois-based school. If you are looking to earn an online master’s degree in organizational leadership, Colorado State University – Global Campus has you covered. The online school is a branch of the university’s flagship campus. The online platform offers organizational development courses for a diverse group of students. Most who take this course are working adults, meaning it is flexible and accessible. The Higher Learning Commission accredits CSU- Global Campus. A few Colorado-based schools appear on our list. Regis is another one. This institution, accredited by the Higher Learning Commission, offers a complete organizational development course to motivated students. Course participants learn to build successful teams, direct organizations and plan for future growth through lectures, projects and internships. The Distance Learning Center at the University of Wisconsin – Platteville supports students as they learn fundamental concepts about organizational leadership. If you enroll in this institution, expect to interact with experienced professionals, diverse students and responsive support staff. Moreover, learn about leading organizations, researching organizational behaviors and other relevant topics. Also, the University of Wisconsin – Platteville is accredited by the Higher Learning Commission. Robert Morris University focuses its organizational leadership program on the historical and theoretical aspects or leadership. You also pickup an extensive background in leadership ethics and communication when you participate in this program. Accordingly accredited by the Higher Learning Commission, Robert Morris University offers both undergraduate and graduate courses. At Jacksonville University, students can take both undergraduate and graduate-level leadership development classes online. If you enroll in organizational leadership at this school, expect to acquire the skills you need to compete for a variety of positions. Additionally, if you are a working professional already, you will likely appreciate JU’s flexible approach to education. Also, this school’s accreditation is from the Southern Association of Colleges and Schools Commission on Colleges. Chicago’s North Park University provides distance learners with the opportunity to explore all aspects of organizational leadership. As part of a robust educational experience, students learn about communication, diversity, leadership, planning and other pertinent topics through online lectures and research projects. Also, North Park University is accredited by the Higher Learning Commission. The School of Professional Students at Western Kentucky University receives accreditation from the Southern Association of Colleges and Schools Commission on Colleges. WKU has graduate and undergraduate courses related to organizational development. Furthermore, when you enroll in this program, you benefit from the impressive support staff and online learning platform. You also save some cash, as WKU is one of the more affordable schools on our list. The University of Colorado’s Division of Continuing Education offers graduate, undergraduate and non-degree classes for students and working professionals. The distance learning platform is fast and secure. Even better, CU’s faculty is some of the best anywhere. Also, this school’s accreditation comes from the Higher Learning Commission. Southern New Hampshire University has spent a significant amount of time on its online learning platform. It also has developed a comprehensive listing of graduate and non-graduate courses to help busy professionals achieve their academic goals. California Baptist University is affiliated with the Southern Baptist Conference and receives accreditation from the Western Association of Schools and Colleges Senior College and University Commission. Students at this institution learn organizational leadership through the school’s reliable online learning platform. Additionally, they focus on history, ethics, communication, development and leadership. Also, if you enroll in this program, plan to take a capstone course or complete a major paper before graduation. The Southern Association of Colleges and Schools Commission on Colleges accredits the University of the Incarnate Word. While the school’s brick-and-mortar campus is in San Antonio, online students around the world study organizational leadership. When you participate in this program, you learn about leadership ethics, organizational planning and other relevant topics. Finally, students study organizational leadership for a variety of reasons. Whether you want to work for a corporation, a non-profit organization or government agencies, taking an organizational leadership course is probably a smart idea. Still, you may desire more flexibility than a traditional classroom experience offers. Fortunately, you don’t have to give up on your dreams. Additionally, with the variety of graduate, undergraduate and non-degree courses available online, you can likely work toward meeting your professional objectives without stepping foot inside a classroom. Remember, however, that not every online learning opportunity is a good investment. 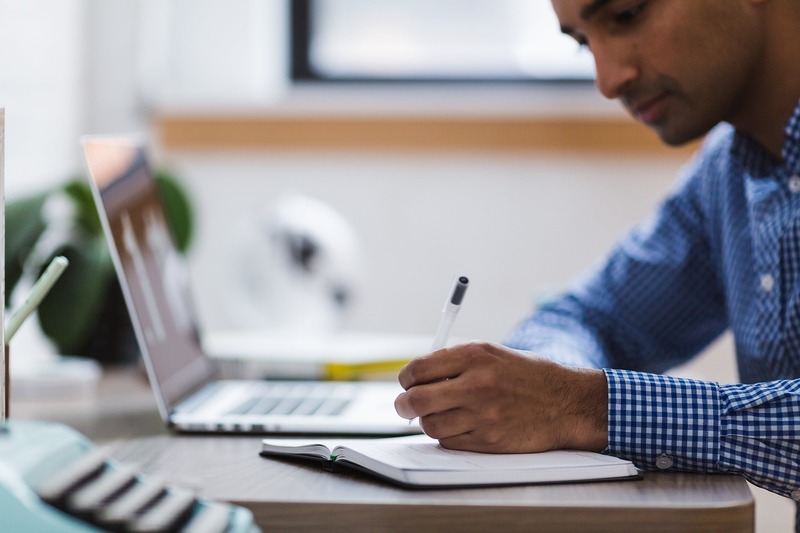 Our rankings of the 20 best online courses for organizational leadership help you visualize what constitutes an effective program. Also, you may decide not to enroll in one of the courses on our list, instead opting for a different program. That’s fine. Our goal is to provide you with useful, reliable and honest information. We hope you use our rankings and ratings as a guide to learn as much as possible about potential programs. With a bit of work and research, you can likely find a perfect online platform for learning about organizational leadership. Featured image CC0 Creative Commons, StockSnap via pixabay.com.